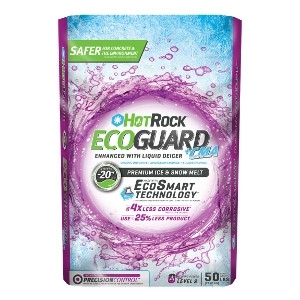 A green-tinted, high performance ice melt product containing a blend of sodium, calcium and magnesium chlorides for faster, colder temperature melting than regular rock salt. 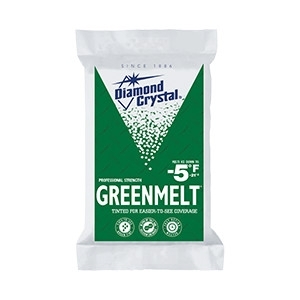 GreenMelt® ice melt is green-tinted for easy-to-see coverage on ice and packed snow. Formulated for minimal to no staining when used as directed. Works to: 0 F /-18 C. 50 Lbs. 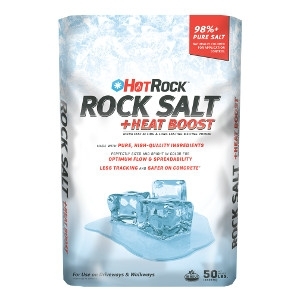 Made with pure salt, Winter Melt® Ice Melt Salt is the natural choice to melt ice in temperatures as low as 5 °F / -15 °C. Always a cost-effective way to maintain your driveways, sidewalks and walkways on icy, cold days. 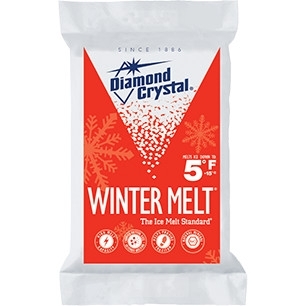 Winter Melt® Ice Melt Salt features a unique blend of large and small melting Sodium Chloride crystals working in combination to melt ice quickly, and then keep it melting, long after application.